16 Ingenious References You Probably Missed In "Luke Cage"
Guess you'll have to go back and watch it again! If you haven't watched the first season of Luke Cage, proceed at your own risk. 1. The headband and bracelets worn by Luke when they are experimenting on him are a tribute to his original costume in the comics. 2. In fact, in the following scene, he puts on a yellow shirt to complete the classic getup. 3. Diamondback's costume in the season finale is also a tribute to the his character in the comics. 4. At some point, Pop refers to Luke as "Power Man", which was the title of the Luke Cage comics for a while. 5. After he defends Genghis Connie's, Connie offers to hire Luke Cage for protection, but he says, "I'm not for hire." 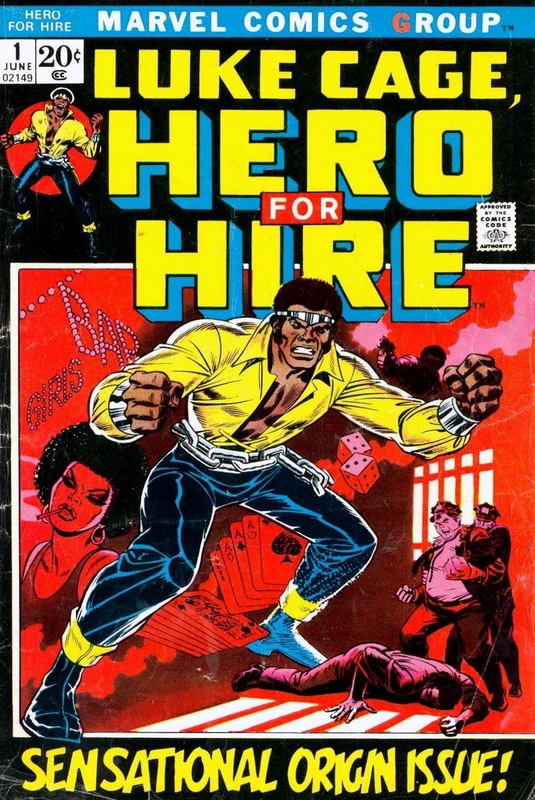 This is another reference to a former title for Luke Cage's comic books, Hero for Hire. 6. Trish, Jessica Jones' best friend, makes an appearance in Luke Cage. Episode six begins with Luke running and a radio program can be heard in the background. That show is Trish Talk, the morning segment by Jessica Jones' BFF. 7. All of the episodes are named after tracks by the hip hop duo Gang Starr. "Step in the Arena" is the name of the episode that goes into Luke Cage's origin story. 8. And Method Man, of the Wu-Tang Clan, has a cameo on the show. The rapper appears in episode 12 and also contributed to the soundtrack. 9. The musicians who play at Harlem's Paradise are famous acts from the world of hip hop, R&B and soul music. They include Raphael Saadiq, Faith Evans, Charles Bradley, The Delfonics and Jidenna. 10. After getting shot, Claire tells Misty that they might have to amputate her arm. This is a reference to Misty Knight from the comics, who has a mechanical arm designed by Stark Industries. 11. The actress Alfre Woodard, who plays councilwoman Mariah Dillard, has already appeared in the Marvel Universe. Before playing Mariah Dillard in Luke Cage, Alfre appeared in Civil War as Miriam Sharpe, a mother who blames Tony Stark for the death of her son in Sokovia. 12. Stan Lee has a cameo appearance in the show. In episode 12, Stan can be seen on a "see something, say something" poster. 13. Ben Donovan, Wilson Fisk's lawyer in Daredevil, is also Cottonmouth's lawyer in Luke Cage. 14. Many of the heavy weapons seen in Luke Cage are made by Hammer Industries. Hammer Industries is the company owned by Justin Hammer, Tony Stark's rival and one of the villains from Iron Man 2. 15. When Misty is investigating old newspapers, she finds a reference to Back to the Future. The article on the right basically narrates plot elements from Back to the Future, just changing the names of the characters. For example, instead of Emmet Brown it says Martin Brown. 16. And there is also a reference to Iron Fist, the next Marvel series coming to Netflix. In the final episode, we see an advert for martial arts classes taught by Colleen Wing. In the comics, Wing fights alongside Iron Fist and Luke Cage. The actress Jessica Henwick will bring the martial arts expert to life in Iron Fist.